The “Alsace timelapse” project is the fruit of the collaboration of three French artists from Strasbourg, and the fusion of their photographic, editing and musical talents. The collective, baptized IGH, presents a short film entirely produced through the time-lapse photography technique. Combining thousands of photographs captured over a period of two years across the Alsace region by the photographer Jean Isenmann, and edited by Julien Guntz against a musical background by Marco Havnin, this film attempts to encapsulate the magnificence of the Alsace region in all its aspects. 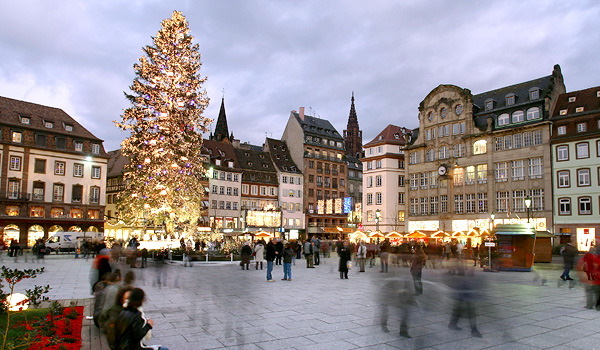 This entry was posted in Europe, Tourism and tagged Alsace, France, Strasbourg. Bookmark the permalink.